Teamsters Local 813 applauds the National Labor Relations Board Region 29 for issuing a consolidated complaint against joint employers Shred-It USA, Inc., and Stericycle, Inc., for anti-worker, anti-union activity. 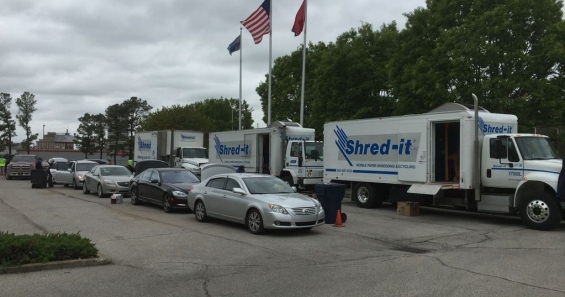 According to the complaint, workers at Shred-It were interrogated about union activity as they organized with the Teamsters, and threatened with the closure and merger of their facility if they selected the union as their bargaining representative. Workers were also promised better pay and hours if they refrained from joining the union. Shred-It, a wholly-owned subsidiary of Stericycle, provides confidential shredding services to businesses. Teamsters Local 813 represents about 200 workers at Stericycle, which provides medical waste disposal to medical facilities and hospitals. 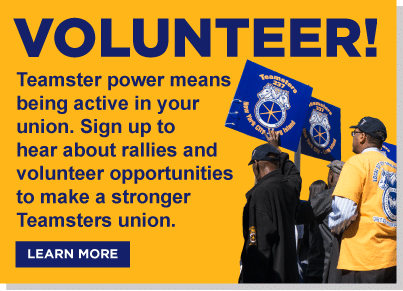 Workers at Shred-It reached out to the union for assistance in joining Stericycle workers as Teamster members, and they are in the process of organizing. In its complaint, the NLRB is seeking consequential damages and “all other relief as may be just and proper to remedy” the firing of Erwin Espinoza, a worker at Shred-It. “It started in February when they came in telling us not to go the union route. I was fired for supporting the union, and we’re working to get my job back,” Espinoza said. The Board is also calling for the company to read a notice of wrongdoing to its employees in the presence of a Board agent, a representative of the union and company supervisors. The complaint sends a strong public message that the government will go after companies that commit unfair labor practices by “interfering with, restraining, and coercing employees in the exercise of the rights” protected by law.